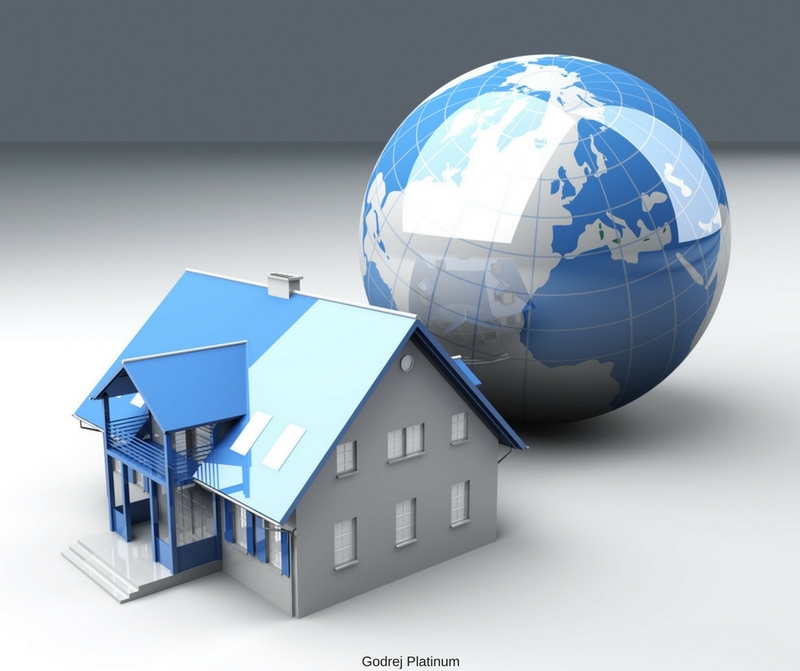 Luxuries are the first preference for modern homebuyers in the metro cities these days. Same is the situation in Kolkata city where buyers have become so choosy and selective. 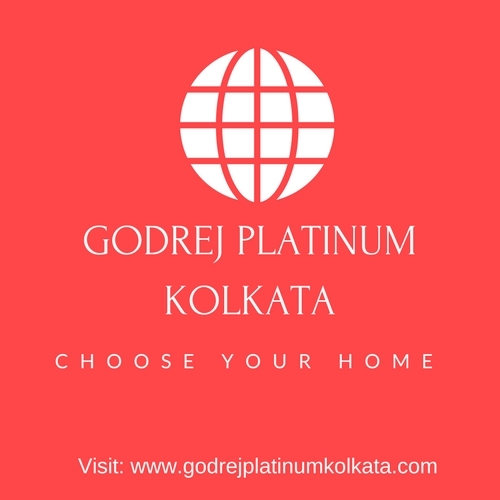 They are only picking up the best quality projects and in this range of premium housing division of Kolkata, Godrej Platinum is standing tall among the other projects in the city. The property is a prosperous housing development where sophisticated families are living happily and enjoying all the modern facilities and lifestyle amenities. Green living facilities and magnificent views of nature are the best sources of providing healthy, nourishing and fit lifestyle to the residents here. There are comfortable sit-out zones here in the garden and landscaping areas where buyers can enjoy a moment of relaxation and senior citizens can sit there and enjoy the green living features. The entrance lobby of the residential complex is very gorgeous and astonishing. Surrounded by plenty of green features, colorful flowers, shrubs, unique water features, and colorful elements etc. it presents a crazy feeling to every newcomer. 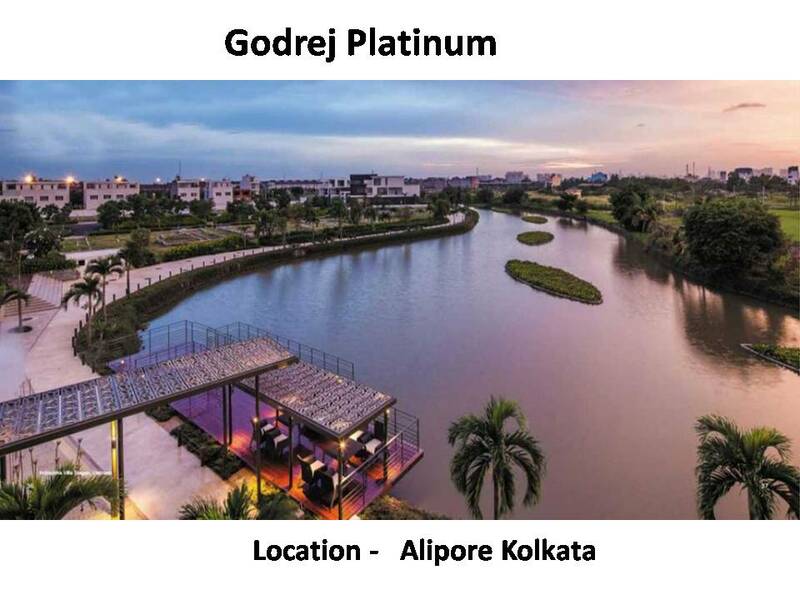 The most astonishing part of Godrej Platinum Kolkata is its wonderful living spaces. Buyers can select here from the best quality and premium apartments which are the true sources of luxury and comfort. 4 BHK variants are available here having whopping sizes for extra utility and additional spaces. Their unit areas varying from 3762 sq. ft. to 5075 sq. ft. The ventilation process in these multi-sided open premium homes is quite excellent as these living spaces have spacious balconies, private terraces and extra-large sized windows covered with transparent glasses. The landscaping has been done by One Landscape from Singapore which has presented their outstanding and magnificent works across the globe. The world-class designs and premium interiors in this development are presented by renowned international designing company Perkins Eastman from New York. The township is rewarded with 6-star ratings from CRISIL. All the rooms in these modern apartments are very spacious and are modified with top-notch specifications and decorated with oil bound distempers, plastic emulsion paints, laminated wooden tile flooring and much more. The meticulously designed towers here are RCC framed structures and are earthquake resistant. The premium apartments in these astonishing structures have superbly designed modular kitchens equipped with granite marble tops, sophisticated wooden cabinets, water purifier, dishwasher, stainless steel sink, electric chimney, chulha and hob, piped gas connection and many other useful provisions and features. You can get a unique feeling and relaxation in the well-designed living and dining areas. Overall, the homes available in Godrej Platinum Alipore are the true sources of providing modern comforts and ultimate convenience. The more you will explore the estate, the more benefits it will present to you. 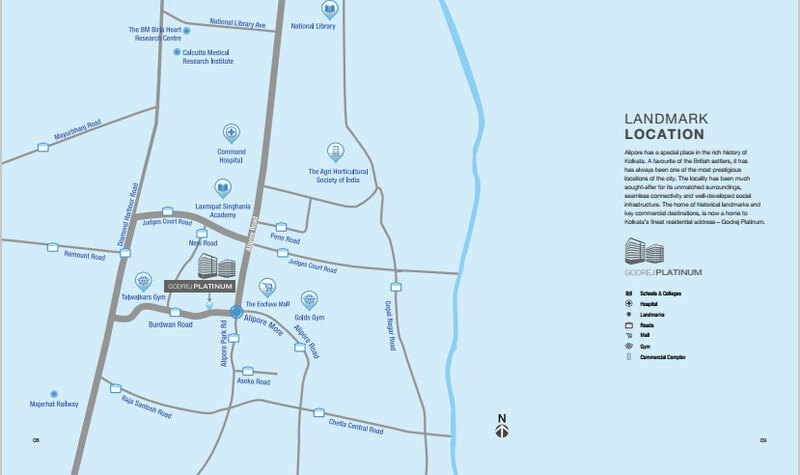 One of the most convincing parts of this development is its great geographical location. The entire Kolkata city is easily accessible from here and you can feel a very smooth traveling experience from here to all important landmarks in the city. Alipore, where the project is based is surrounded by several posh residential areas and infrastructure facilities around the development are very advanced and developed. The estate is a great provider of useful facilities and lifestyle amenities. The major luxury features which you can enjoy here include 24X7 security, kids’ play area, swimming pool, clubhouse, rainwater harvesting, multipurpose hall, car parking etc. The wonderful Godrej Platinum Price range set here for the sale of these lovely apartments varying from INR 6.01 crores to INR 8.12 crores.